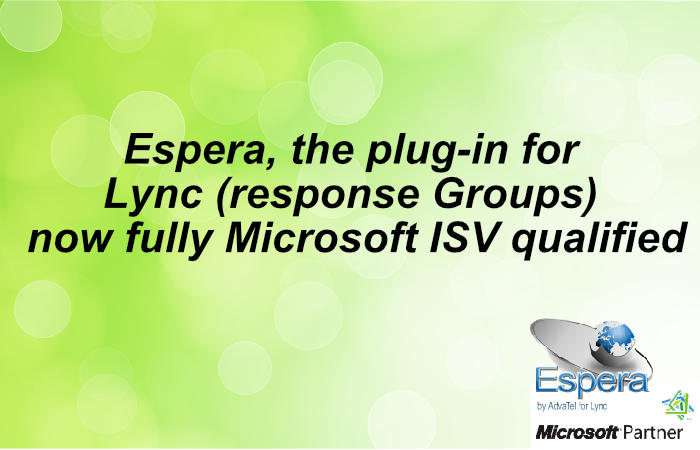 AdvaTel are pleased to announce that they have received full Microsoft ISV qualification for their Espera Lync plug-in that turns Lync Response Groups into capable Call Centers in their own right. Michael Terry, Chairman of AdvaTel who developed Espera said, “I am delighted that clients will now use all of the excellent Lync Response Groups queuing…. Skype for Business has retained the excellent telephone call queuing capability of the traditional Lync “Response Group”. 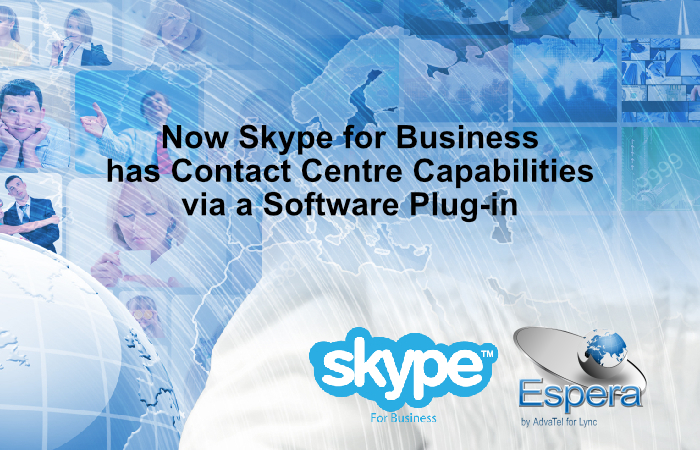 The Espera plug-in software converts the Skype for Business Response Group into a Contact Center and includes excellent real time and historical reporting. In addition it includes a call wrap-up reporting capability for those wanting to further analyze….